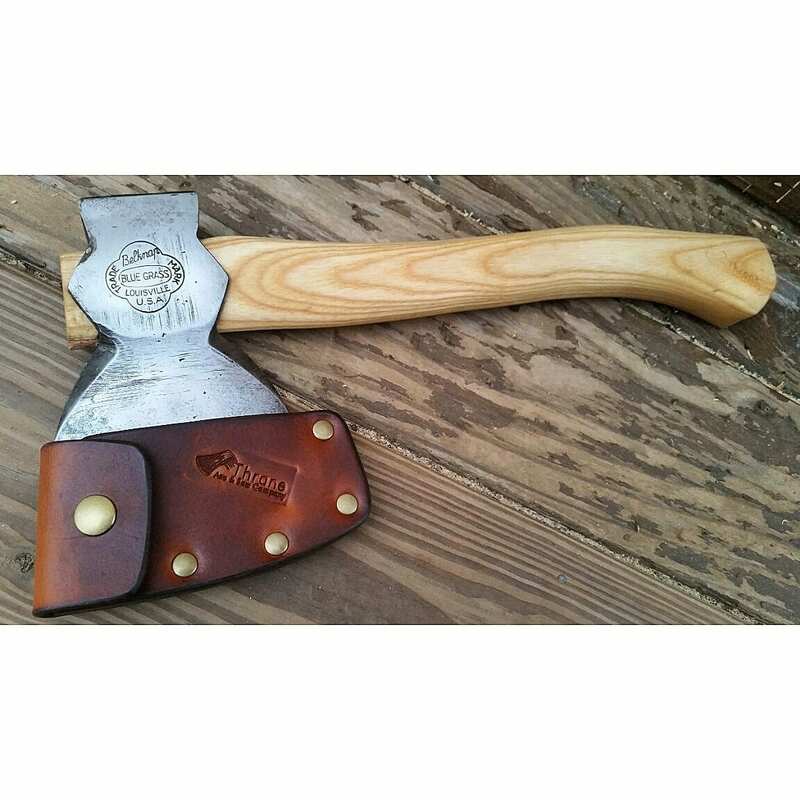 Full restoration of a hatchet that is sent into the shop. Starting price of $125. Resharpening to a razor sharp edge, new hand carved maple or ash handle properly fitted, and a custom leather half sheath of your choice (saddle tan, dark brown, and black). Full restoration of a Boy’s Axe that is sent into the shop. Starting price of $175. Resharpening to a razor sharp edge, new hand carved maple or ash handle properly fitted, and a custom leather half sheath of your choice (saddle tan, dark brown, and black). Full restoration of a Felling Axe that is sent into the shop. Starting price of $200. Resharpening to a razor sharp edge, new hand carved maple or ash handle properly fitted, and a custom leather half sheath of your choice (saddle tan, dark brown, and black). Full restoration of a Splitting Maul that is sent into the shop. Starting price of $150. Resharpening to a razor sharp edge, new hand carved maple or ash handle properly fitted, and a custom leather half sheath of your choice (saddle tan, dark brown, and black). Full restoration of a Broad Axe that is sent into the shop. Starting price of $250. Resharpening to a razor sharp edge, new hand carved maple or ash handle properly fitted, and a custom leather half sheath of your choice (saddle tan, dark brown, and black). Full restoration of a Saddle Cruiser that is sent into the shop. Starting price of $150. Resharpening to a razor sharp edge, new hand carved maple or ash handle properly fitted, and a custom leather half sheath of your choice (saddle tan, dark brown, and black). Full restoration of a Cruiser that is sent into the shop. Starting price of $200. Resharpening to a razor sharp edge, new hand carved maple or ash handle properly fitted, and a custom leather half sheath of your choice (saddle tan, dark brown, and black). Full restoration of a Felling Double Bit that is sent into the shop. Starting price of $225. Resharpening to a razor sharp edge, new hand carved maple or ash handle properly fitted, and a custom leather half sheath of your choice (saddle tan, dark brown, and black). Full restoration of a Puget Sound Pattern that is sent into the shop. Starting price of $275. Resharpening to a razor sharp edge, new hand carved maple or ash handle properly fitted, and a custom leather half sheath of your choice (saddle tan, dark brown, and black).